By hosting your emails with C21 you will be able to access them either online or using your email client on your PC, Laptop or Mobile device. Below are the instruction for the setting up your account. Our new servers will mean than you will change some of the settings in your email client in order to continue to send and receive emails. Outlook is one of the most popular email clients and is compatible with our servers. 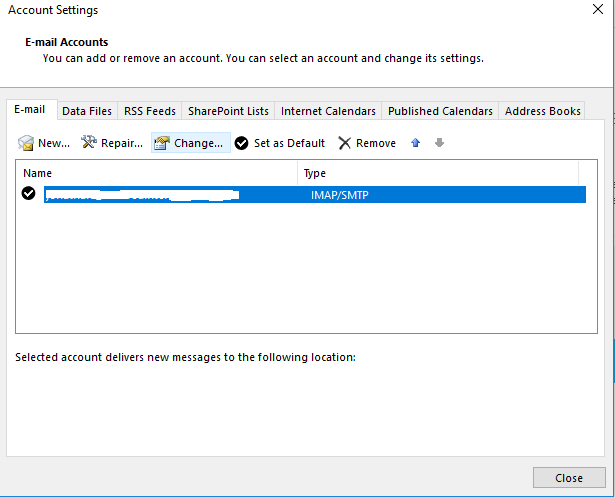 The following example shows how to set up your email in the latest versions of Outlook such as Office 365. Open OUTLOOK email client. Select FILE, ACCOUNT SETTINGS. When the pop up box opens select the account you want to change if your are changing the settings on an existing email account. Then click on If you are creating a new email account from scratch select NEW from the options. Now change the incoming mail server to: mail.yourdomainname.com. So if your domain is www.acme-electronicsuk.com then this will be mail.acme-electronicsuk.com. 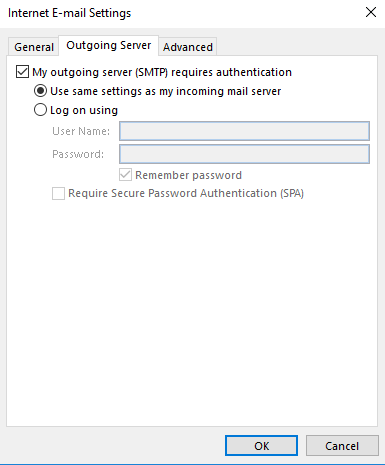 Also change outgoing mail server (smtp) to: mail.yourdomainname.co.uk. Reference the Account Type field which will be greyed out if you are simply changing your account details. It will either read POP3 or IMAP. Note this as it is referenced further in the instructions. Then type in your newly provided password then click MORE SETTINGS. Click on the tab entitled OUTGOING SERVER and ensure that the following is checked. Click on the ADVANCED tab in the same pop up window. Ensure that the incoming server port numbers are correct. 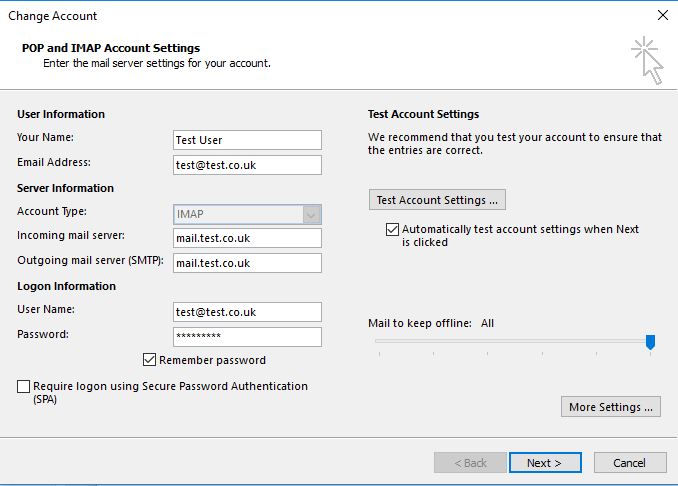 If you have selected POP3 email then this should be 995 and if you have selected IMAP emails then this number will be 993. Check on the drop down list highlighted in red below and select SSL. 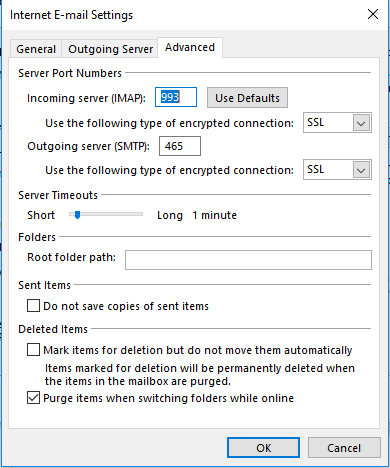 Then under Outgoing Server (SMTP) change the port number to 465. Then select SSL from the drop down list highlighted in blue below. Click OK and this will take you back to the previous screen. Once there click NEXT. This will test the connection to the server. This process will test both incoming and outgoing server connections. Once completed accept this and you’re done. If the test fails check that you have correctly entered all of the information above and that you have entered the correct password. If the test fails again and you are sure that you have done everything right then contact our support team for further assistance.